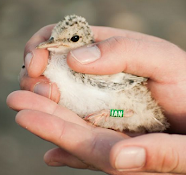 Kilcoole Little Tern Conservation Project: It's Tern Time! The first Wicklow Little Tern sighting of 2013 was of 10 birds at Newcastle on 16th April. A high count for such an early date. 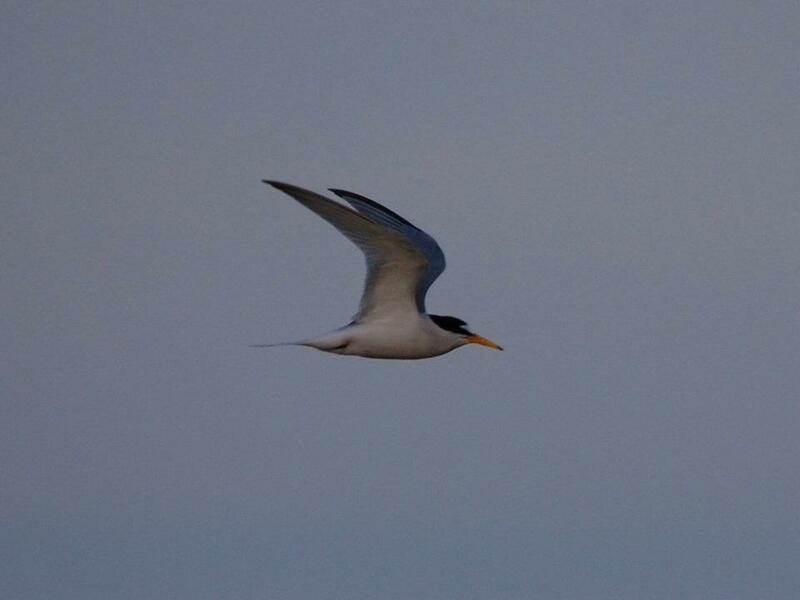 Since then, numbers have been fluctuating between 15 & 30 birds most days as is standard practice for the time of year on account of the terns moving widely along the East coast before deciding where to settle and breed. 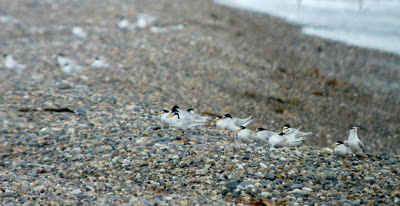 The peak count at Kilcoole so far has been of 68 Little Terns roosting at the main colony site on 8th May. In the run up to the first eggs being laid (expected anytime from next weekend onwards), myself & Cole have been living on site, getting the relevant equipment ready to enclose & protect the nesting birds. At present there is a basic cordon with information signs in place around the colony, marking out which areas are safe for members of the public to walk along. Once we get an idea of where the terns are likely to nest then we'll start putting up the more elaborate flexi-net & electric fence system. In the meantime, we've been busy reacquainting ourselves with the local beach walkers who's continued interest in the terns & the project has shown no let up. It's great to see you guys again! There are a few pairs of Ringed Plovers displaying on the beach & a pair of Oystercatchers hanging about so we'll keep an eye on these guys too throughout the season. I expect they'll lay sometime before the terns do. At the moment the terns seem to be settling in fine with plenty of courtship & display noted yesterday along with a few potential pairs landing on the beach, the male in tow with a juicy sandeel 'gift' for the female. However, at present I am quite concerned about the state of the beach this year. After the frequent bouts of high tides & storms in 2012, the beach has yet to recover fully to its former extent and as such it is still quite narrow & low, leaving much of it vulnerable to flooding. Fingers crossed this will build up before the birds lay and that we'll have a calm summer ahead of us!! !